Alliance High School will be hosting our Fourth Annual College and Career Night on Nov. 8 from 6-7:30 p.m. for our high school students and parents in the gymnasium. We invite you to join us for this opportunity to meet with the various participants attending the fair who will be sharing their respective information. There will also be a College Credit Plus meeting at 5:30 p.m. for all students, grades 6-11. We invite you to attend that meeting if you or your student are looking for more information regarding the College Credit Plus program. 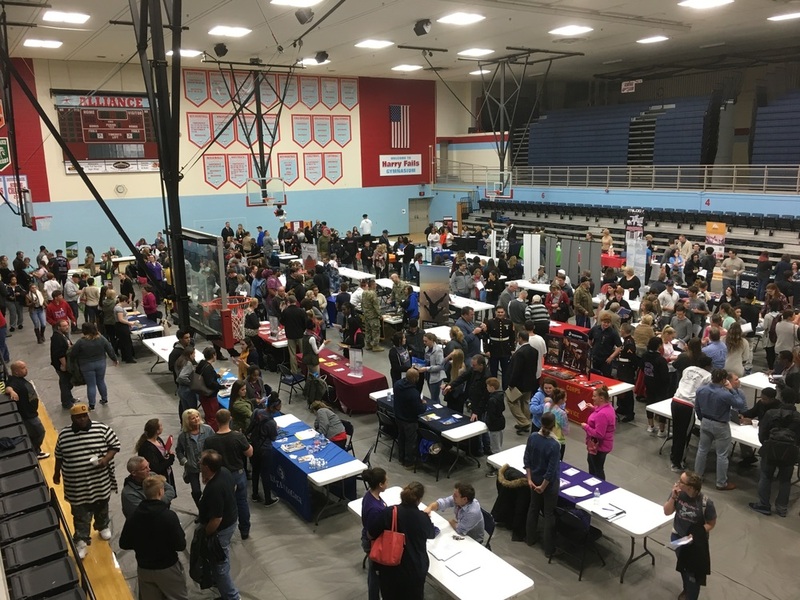 The College and Career Night is an opportunity for all of our students and parents to become aware of local scholarships, programs, majors, jobs and options our area businesses have to offer. We want to expose our students to as many post-secondary options as possible, so they are familiar with the opportunities available in the Alliance area. Our school vision is for all Aviators to graduate prepared for life, college and careers. We hope that our College and Career Night will help our students achieve this goal. From 6-6:45 p.m., freshman; sophomores and juniors will explore the College and Career fair to understand the opportunities available within their community. Then, from 6:45-7:30 p.m. our senior class will visit the College and Career Night and have the chance to meet with representatives. Contact the Alliance High School Guidance Office at 330-829-2245 with any questions you may have.